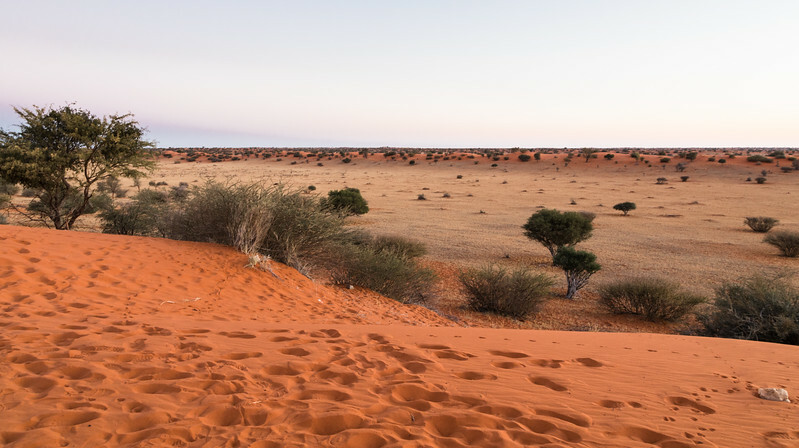 The Kalahari sand grains are minuscule. The sand is fine and soft as powdered sugar. Its color is caused by iron oxide. Acacia trees indicate the presence of subterranean water.